2. 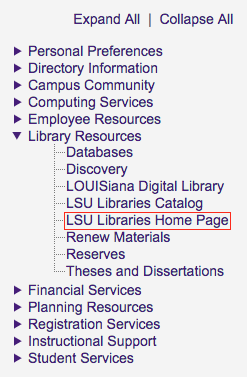 Select Library Resources from the list at the left, then click LSU Libraries Home Page. 3. 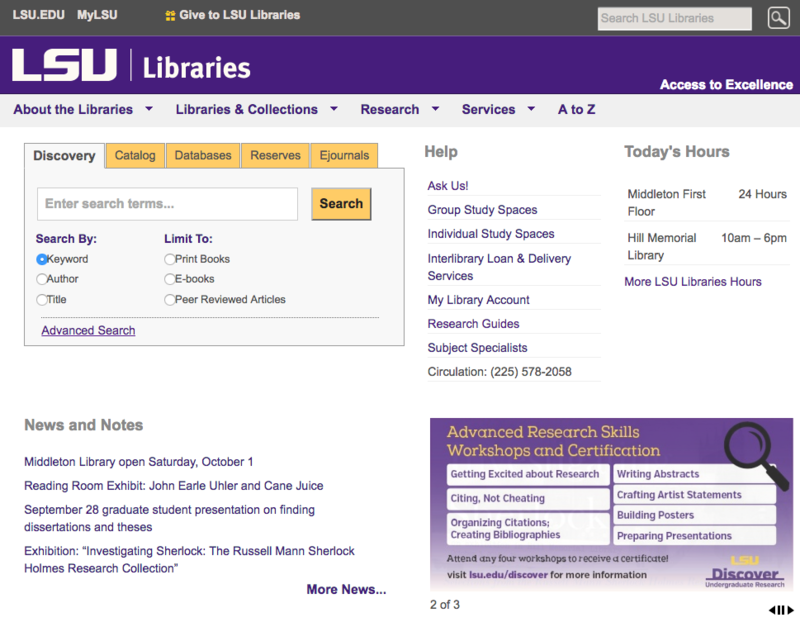 The LSU Libraries Home Page official website will now open in a new window in your browser.